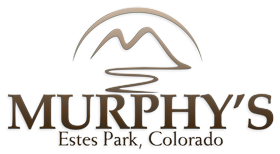 Murphy’s River Lodge in Estes Park, Colorado is nestled along the beautiful Fall River. We are located only 2 blocks from historic downtown Estes Park. We offer a variety of king and queen rooms, 20 of which have private river view decks and balconies. Free shuttle pick-up right across the street from June 25th - September 11th provided by the town of Estes Park. Contact the visitor center at 970-577-9900, stop in our office for a schedule and map for availability or just click here for more information. We have 2 rooms on the ground floor of our hotel especially designed for the requirements and comfort of our disabled guests. In these rooms we have a wheelchair ramp to the door. We have proper spacing of beds and furniture. In each room we have installed ADA approved grab bars, lowered mirrors, adjustable shower head, lowered closet bars, lower towel racks, low cut carpet, remote control for the air conditioner, lower peep hole for exterior door and lever door openers. In addition we offer the option of the continental breakfast to be delivered to your room. Murphy’s River Lodge does not have an elevator. There is designated parking in front of each ADA room. Our pool area is equipped with a pool lift. 8 pet friendly rooms (check availability) - Dogs only, no cats or other animals. Nightly pet fee applies (per-pet/per-night). No vicious breeds or any animals with a history of violence. Guests are required to fill out and sign a pet waiver at check in.